How Another Writer Handled A Bio Subject – Tell my story. I’m curious how other writers of historic bios handle their biographical subjects, particularly when the lives were short and relatively obscure, as was Emmett’s. I was intrigued with the story of Alonzo Hereford Cushing. Cushing was awarded the Congressional Medal of Honor on November 6, 2014 — more than 150 years after the Battle of Gettysburg, where he was killed. OK. The CMH does not equate to obscurity. But, I’d never heard of Cushing before this recent story (and neither had a number of other folks I asked). This was another instance where a compelling photograph — and a very short, but public life — piqued my curiosity. I did a little digging around (read news articles, checked out history links), and I downloaded this book, Cushing of Gettysburg: The Story of a Union Artillery Commander by Kent Masterson Brown. I read it in one sitting (on my Kindle). It wasn’t a hard read, but it is very detailed and difficult to follow at times because of all the names, dates, battles, and related statistics included. (The first chapter is Biblical in style; i.e., begat…begat…begat….). Also, much academic research went into this book, and it is presented in an academic style, so I wouldn’t necessarily classify this as pleasure reading (unless you are a Civil War buff, or read textbooks in your spare time, as I do). Many who knew Cushing wanted to tell his story to journalists right after his death. They wanted Cushing to be remembered, and rightly so; the man was a hero. This book has a number of personal details about Cushing revealed by family and friends. For instance: He had several girlfriends; he was called “Indian” by his siblings as a child; he smoked a Meerschaum pipe. In contrast, Emmett’s family and friends did not talk about him publicly at all; in fact, they avoided talking about him period, especially after 1914 (when he almost died). In some ways, family members seemed to be relieved that he was gone after his death in 1918. Brown mentions in his preface that in 1977, while searching about for information on Cushing, he discovered a packet of letters Alonzo had written unknowingly packed away in a trunk in the Chautauqua County Historical Society in Westfield, New York. OMG. I can only imagine what Brown felt when he discovered the elusive Alonzo Cushing letters. It is what I would feel if I ever get my hands on Emmett’s Elusive Scrapbooks. The circumstances were quite different: Cushing was a hero, and there was/is a lot of background information on Cushing’s heroism at Gettysburg. In contrast, I’ve been surprised at how much I’ve been able to uncover on Emmett too — but I would not classify Emmett’s deeds as heroic per se — at least, I haven’t been able to prove that he wasn’t some kind of hero just yet. Emmett kept a lot of things to himself; he may have been a hero to someone and I just don’t know about it yet. 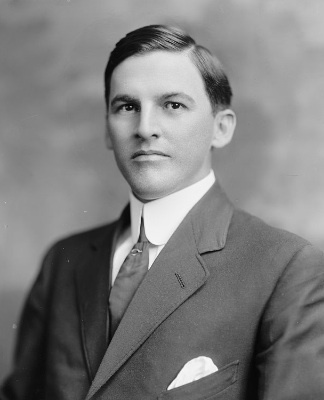 Brown used many primary sources, such as interviews, journals, and letters provided by people who knew Cushing personally. But, without the context of the Civil War, the bio would be quite brief. I can see how and why Brown needed to expand Cushing’s background information to provide accurate context for the reader. I, too, must provide a large amount of background information for Emmett’s story, so that the reader will understand his life in accurate context. My sources are a mix of primary and secondary; also, I am able to provide, in some instances, a day-by-day track of what Emmett was doing across several years. Brown probably didn’t have that level of detail about Cushing’s life. This was an interesting comparison; most of Brown’s work centers around Gettysburg, of course, since that is his area of research expertise (he is a professional historian). I wonder if Brown ever considered writing about a more obscure subject than Cushing? I’m sure there were many other heroes at Gettysburg that we just don’t know about (yet). Cushing of Gettysburg is interesting.